By studying [salutogenesis], we can take a different lens in healthcare. Instead of looking at just simply stopping the pathology, we can look at reversing pathology by enhancing our own inherent healing capacity. 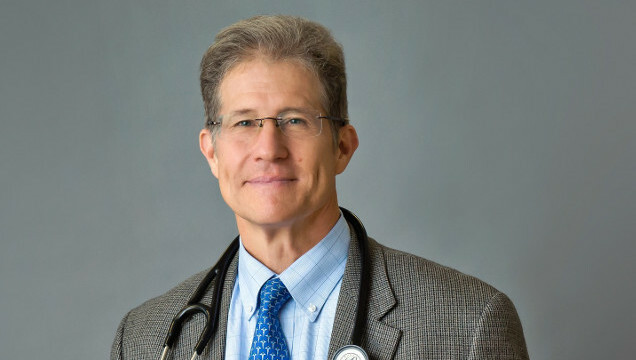 In the following interview, Dan Lukaczer, ND, IFM director of medical education, interviews an integrative medicine juggernaut: Wayne Jonas, MD. Dr. Jonas has maintained a successful integrative healthcare practice while helping to change the perception of integrative medicine at the federal level as well as in the US military. Dr. Jonas’s focus on integrative health embraces wellness and salutogenesis, helping clinicians expand their practice to include integrative health approaches, even in practice environments in which such change may be difficult. Dr. Lukaczer and Dr. Jonas discuss salutogenesis, HOPE and SOAP notes, pain management, and hurdles for incorporating integrative health into primary care. In addition to being the former director of the NIH Office of Alternative Medicine, he also was a former director of the World Health Organization Center for Traditional Medicine and the executive director of the Samueli Integrative Health Programs. The SOAP note tends to miss a good 80% of what we know leads to health and healing in the encounter. This is lifestyle and behavior. Intended to be used alongside the standard SOAP note, Dr. Jonas champions the HOPE note, or the Healing-Oriented Practices and Environments note. The HOPE note provides a framework for expanding knowledge and documentation to personalize care for each patient and includes questions about the social and environmental determinants of health, allowing clinicians to track and document the social and behavioral elements of well-being. This expands the scope of a clinical encounter and helps to truly personalize treatment plans and motivate patients for lifestyle change. Non-pharmacologic approaches like yoga have resulted in reduced pain; for instance, yoga decreased pain scores for veterans with lower back pain for as long as six months, even with a concomitant reduction in opioid use.7 In another study, six weeks of cognitive behavioral therapy for veterans also resulted in statistically significant improvements on a range of factors, including pain symptoms, physical function, and satisfaction with care.8 Though some of these studies showed only small reductions in pain scores, a combination of complementary biopsychosocial interventions can lead to much larger overall improvements in quality of life. As the Federal Pain Research Strategy states, the “complex biological and psychosocial aspects of pain” are important to consider.9 The HOPE note can play a role in helping clinicians understand these aspects, track them, and provide more personalized treatments. Dr. Jonas also highlights the many non-pharmacologic therapies that can reduce pain, providing better quality of life and meeting patient needs. The opioid epidemic is really just the symptom of a more fundamental underlying problem we have, which is the mismanagement of pain. Dr. Jonas will be speaking at IFM’s 2019 Annual International Conference (AIC) on integrative medicine and stress, pain, and addiction treatments. Canlas BR, Dawson TC, Hollrah LN, McGranaghan P, Hedt S, Rinehart KJ. Restoring function in veterans with complex chronic pain. Fed Pract. 2017;34(10):42-47.